Another wet & windy day…..
We moored up on a grassy bank last night – just a farmer’s field; he (the farmer) came along to collect our mooring fee £5 about 9pm. 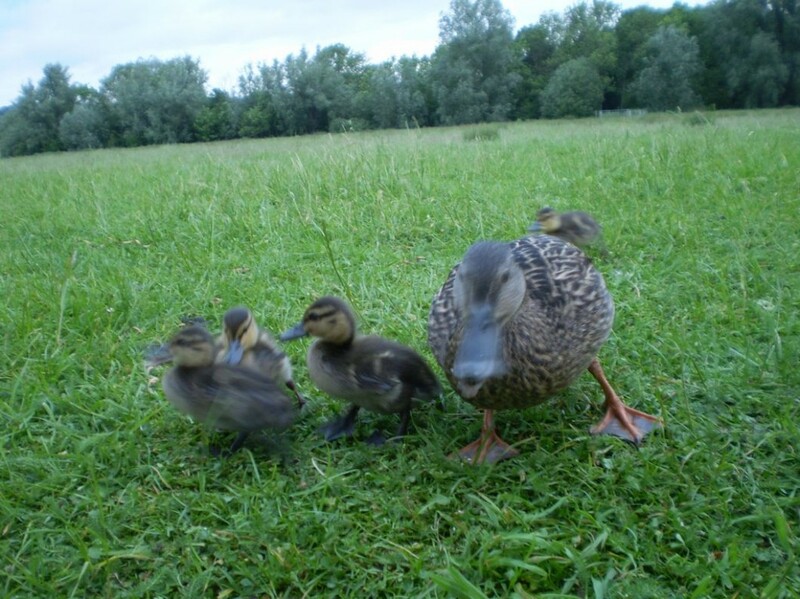 Earlier a mother duck and her 4 ducklings had also called to see us especially when we offered her some bread. So as we set off this morning we hoped that the weather would be a bit better; certainly there has been less rain but the wind has been very strong and gusty and by the time we got to Mapledurham lock this afternoon the lock keepers told us that they were having to work the lock manually as a tree had come down over a power line and the whole village was suffering a power cut as a result. 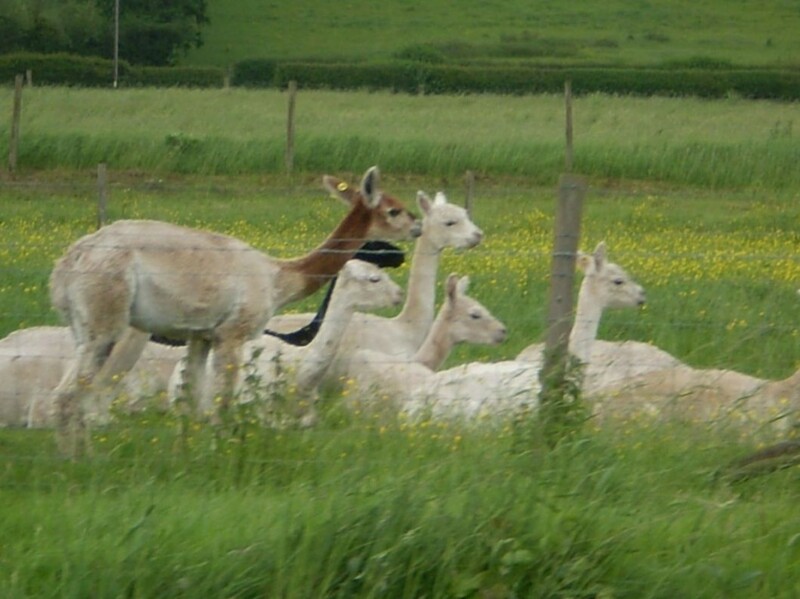 Finally before we moored up for the night we spotted a field not of sheep but llamas or alpaca – not sure that I know the difference. This entry was posted in Queens Jubilee River Pageant by fiona. Bookmark the permalink.